The investigator must have a license! Most states require that Investigators are licensed in the State. A licensed Private investigator will be able to produce a copy of such a license, or “pocket card”, immediately for your verification. We provide licensed Private Investigators, Nationwide, through a network of vetted partners. Company License. AISG will only partner with vetted licensed Investigation Companies. There are companies, listed on the internet, that claim they can do investigations. They offer “background checks” that are nothing more than database searches of old public records. Are they insured? If you have any questions, ask to see the insurance coverage the Investigation Firm carries. Experience and training. Private Investigators come from various career fields. Experiences in Law Enforcement, military and corporate security have provided investigation firms with people that have found success as Private Investigators. We have also trained people with little or no experience that have proven to be excellent investigators. Ask how investigators are trained. You get what you pay for. You have heard this before and you’ll hear it again “best price does not equal best results”. 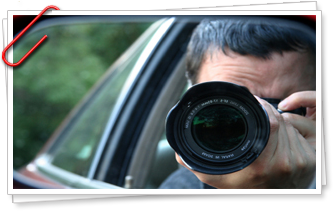 What are the duties of a Private Investigator who is working for you? The Private Investigation Company you hire will task their investigators with gathering information related to the needs you have outlined before the work began. This information can be related to businesses or individuals. Investigators work for many different clients such as attorneys, businesses, and the public. Investigators are trained to conduct surveillance, research, and interview individuals. Investigators have access to databases that allow them to obtain large amount of information quickly. A well trained investigator is an asset that can get you the information you need quickly and affordably that will allow you to make and informed decision. What makes AISG the best choice to be your Private Investigative Company? We will work with you to obtain the information you need. We will obtain this information ethically and at a competitive price. There are thousands of small investigative companies that consist of one retired State or Federal Law Enforcement officer who work from their home. AISG is a company with over 50 Investigators across the south. We do employ retired law enforcement but these individuals are trained to employ the expertise gained through over 75 years of combined Private Investigative work. We are results oriented and will not take a case that we are not sure that our experience will create the desired results. AISG also understands that the thought of hiring a private investigative company may feel like your last resort. We guarantee that we will listen to you and explain how we can assist you. All information you provide is confidential and the visit with the Private Investigator is free. What skills are needed to become a successful Private Investigator? A successful Private Investigator is an individual with the ability to think fast and employ common sense. The investigators are faced with obtaining information and following individuals who are typically watchful. This watchfulness by the subject comes from the activities they are involved in and the inherently secretive nature of the activities. AISG Investigators are well rounded and chosen for their ability to adapt and overcome while still obtaining results. The first trait a successful private investigator must display is patience. An investigator may have to sit a particular location for hours on end to capture 10 seconds of activity. The second trait is common sense. An investigator must use common sense to be in the right position to capture that activity when it occurs. The third trait is the ability to listen. An investigator must be able to listen in order to determine the best course of action to capture that activity when it occurs. A successful investigator well listen to determine the small things that will make the difference and supply you with the desired result. No. Private Investigators are most times licensed and governed by the Secretary of State or the Department of Public Safety but have no police powers. AISG will on every case we work follow the letter of the law. Does a Private Investigator have access to government records? The Investigative Company does have access to databases that will allow them to gather information on an individual or business that the general public does not have access to.